It took me a long time to come around to the Nike Free line. I’ve always admired the sleek running silhouette, but I thought wearing runners casually, especially with jeans was a fashion statement best left in the 1990s. But late last year I had a foot injury and ended up taking a punt on the free line, and ended up loving it. The sole is what gets me. Although its minimal compared to the classic running shoe, the Free 5.0 sole still provides enough cushioning, even on the harsh pavements. 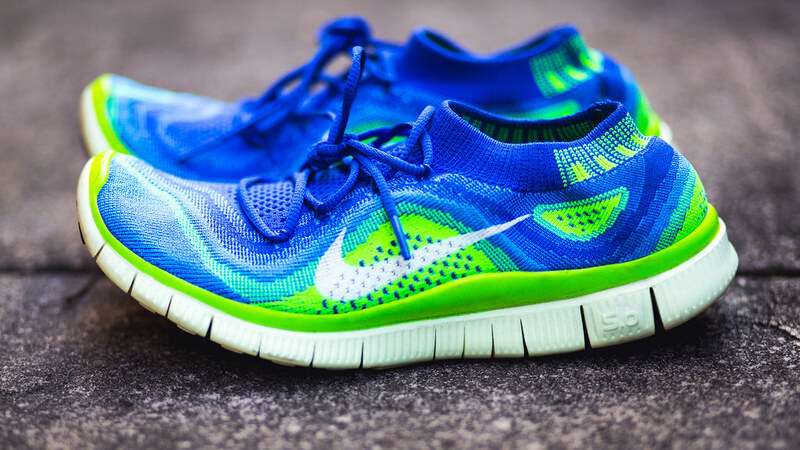 Coupled with Nike’s latest flyknit technology, it makes for a seriously cool pair of kicks. Did You Know? 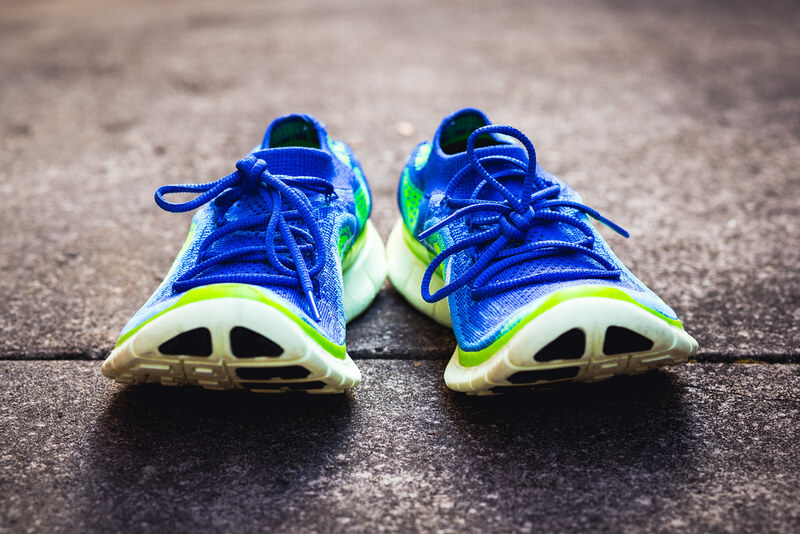 – Nike Free was a line introduced in 2004 at the cusp of the barefoot running trend. 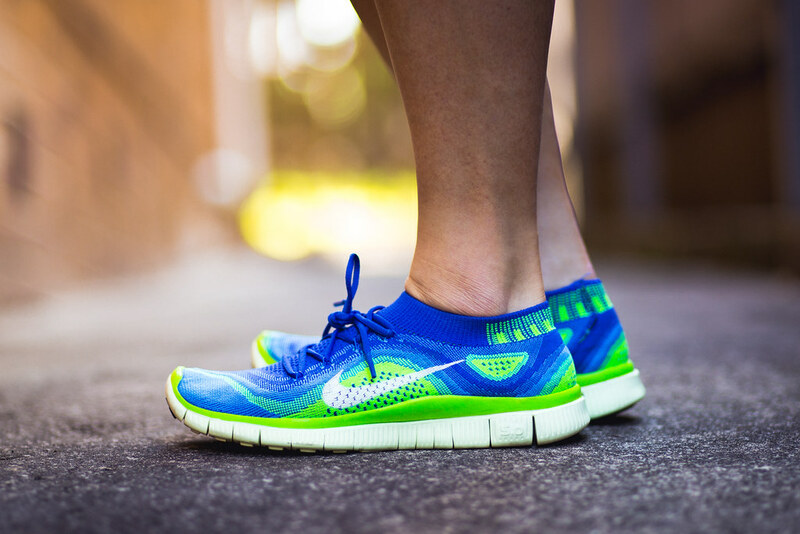 Flyknit debuted in 2012 in essence to provide a formative knit sock like fit shoes. The Good – Comfort, comfort, comfort. These puppies are like socks with soles. The waffle free sole is non-slip even on wet lino. The upper hugs the foot giving it adequate support even when moving laterally. It’s light and it flies! The Bad – The material can pinch at first, and of course it offers no real protection against the elements, but as long as you stay away from construction sites and things to stub your toes on, you’ll be sweet.